Saying goodbye is never easy. With your water heater, it may be downright heartbreaking. It’s one of those household necessities you take for granted; when your water heater is working properly, you forget it’s there – once you lose the comfort of a hot shower, you scream in despair at the thought you may have to repair – or even replace - your water heater. A leaking water heater may seem like a minor annoyance at worst. However, a leak may be a sign of an impending disaster. A small leak, for example, can damage your floors and walls. Furthermore, it may cause health problems for you and your family as damp conditions caused by your water heater leaking is an ideal breeding ground for mold and mildew – some that are toxic or may cause serious allergic reactions in some people. If your water heater is over five years old and is being regularly used, it’s probably already reached the end of its life. Once your warrant expires, it’s a good idea to start shopping for a new water heater or start doing some regular maintenance (at least twice a year). And another thing – if you have no idea how old your water heater is, it’s best to look into buying a new one. Living in Dubai and the UAE, you may be forgiven for not realizing any water temperature fluctuations from your water heater. Summers are scorching hot, and as most apartments and homes in the country have their water tanks placed on the roof, nature takes its course and heats the water for you. However, if you have an indoor water heater or its wintertime and notice that water heater is not doing its job properly, you either need to replace the water heater anode or get a new heater altogether. If you taste a hint of metal or notice a red/brown discoloration in the water, your water heater is literally eating itself from the inside out; it’s started to corrode (rust) – a process which is practically impossible to stop. 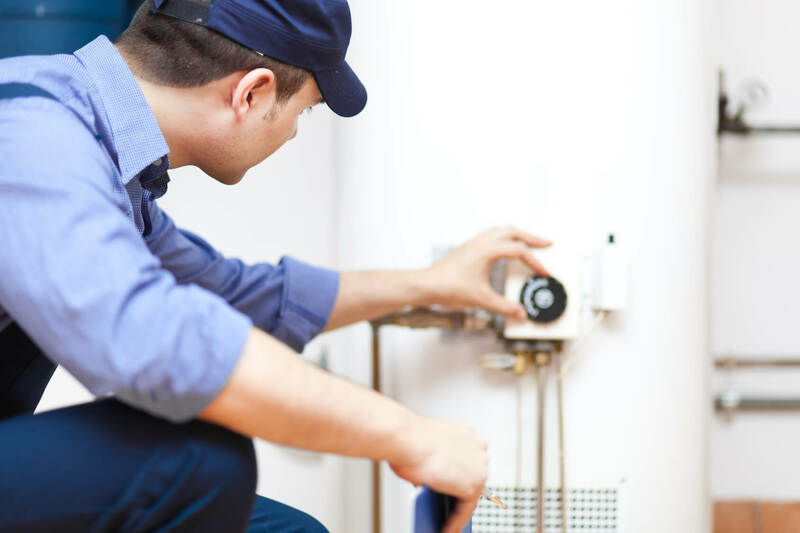 If calling the water heater repairman has become somewhat of a tradition rather than a once-in-a-blue-moon occurrence, it’s time to replace your water heater. Small problems can lead to bigger problems that may cost you significant more to resolve (e.g. see reason number one to replace your water heater). According to a 2016 report, over 80% of Dubai residences complained about water leakage issues in their homes, attributed to both leaking water heaters and faulty pipework. If you are one of the remaining 20%, then consider yourself lucky. If not, it may be time for a major change. When saying goodbye to your old water heater, just remember: it’s not your fault, it can happen to anyone, and change really, really is healthy.